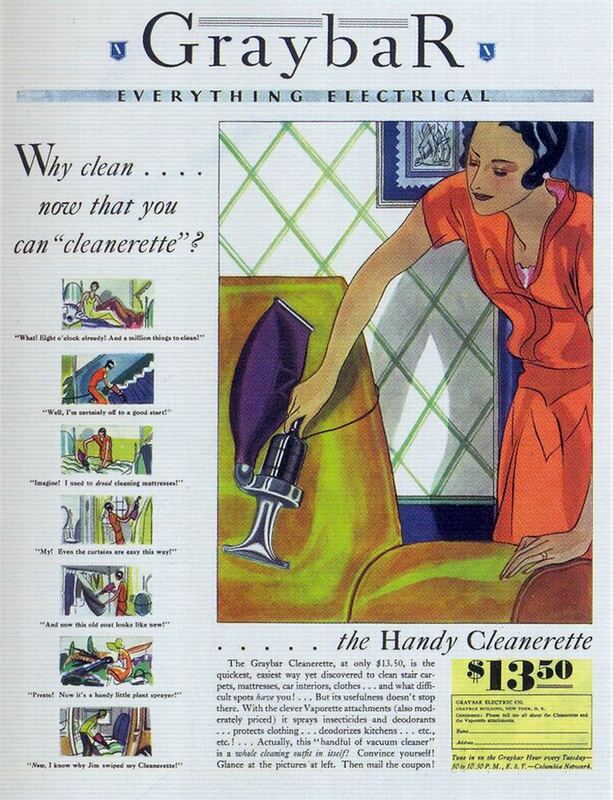 Graybar Cleanerette, 1930, originally uploaded by Gatochy. Click image for 766 x 1000 size. Scanned from Taschen's "All-American Ads of the 30s". "Why clean... now that you can 'cleanerette'?"